Tasked to design a home within the Meru Valley Golf Resort in Ipoh Malaysia, a place famous for its mountainous landscape and natural surroundings, A3 PROJECTS produce a "suspended barn" design creating double-height spaces and carved courtyards. 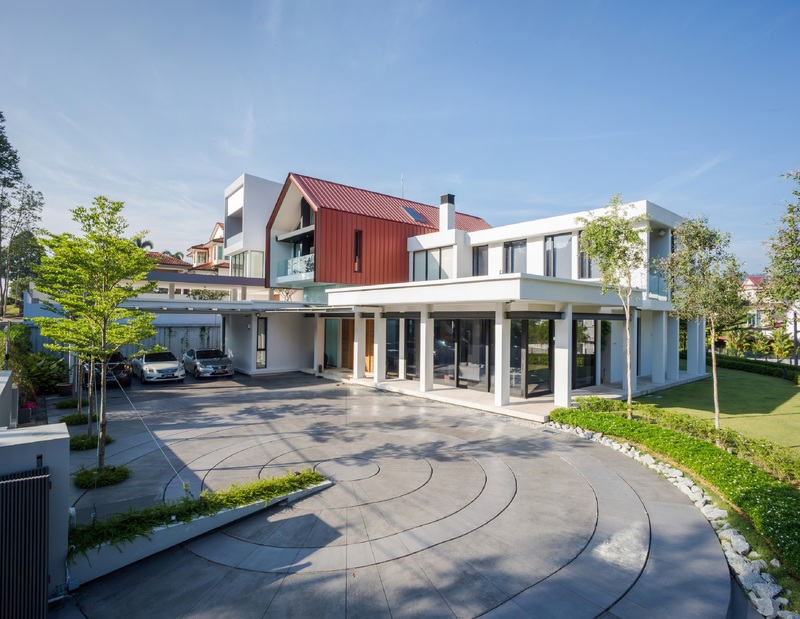 Architects Kenny Chong and Ho Choon Sin created the initial concept in 2009 with an approach to build the home with three interconnecting blocks, effectively carving out open courtyards within living, dining and family spaces, all while surrounded by outdoor gardens. In response to the areas' tropical climate, A3 PROJECTS have ensured that these courtyard and pocket spaces to provide light and airflow throughout the home. The surrounding veranda has also been carefully considered to shade the home from the sun as well as tropical rainstorms. One of the central features of the home is the striking elliptical stairs with ribbon-inspired balustrade. 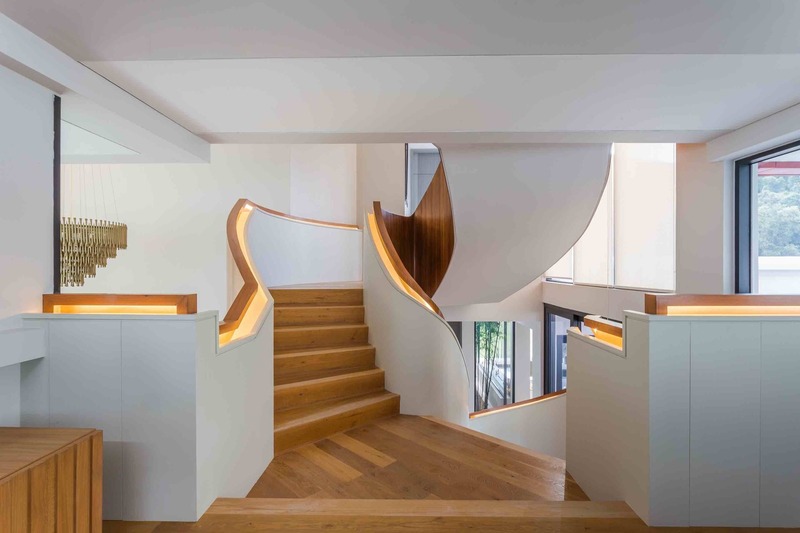 The stunning wood-clad stairs connect the ground spaces to the upper floors, spiralling through the central double-height atrium of the house. Externally, the "suspended barn house" is the primary architectural marvel of the design. Cladded in insulated metal with a seamless glass wall, the floating barn provides the home with panoramic views. From afar, the simple delineated roof lines are silhouetted against the sky at dusk also. Throughout the home, all bathrooms, bedrooms and living spaces feature bespoke joinery and metal works, which have been fully integrated into the home's overall architectural design. The architects stress the use of passive sustainable design, in response to the local tropical climate while exploiting its existing natural surroundings. For more information about the design of Meru House, phone or email A3 PROJECTS via the contact details listed below.